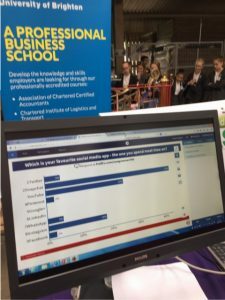 On 28 June, our Business e-Learning (BeL) research group held its annual Social Media Showcase at the South East Big Bang Fair. 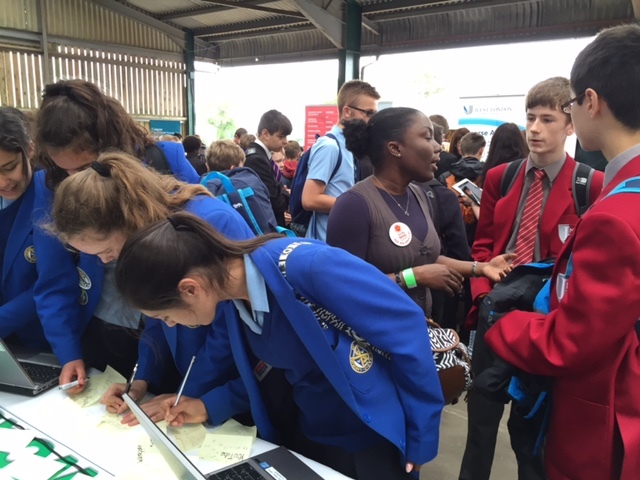 Each year, our stand is manned by our Business and Marketing students, giving them to the opportunity to exhibit their Digital Marketing coursework to over 8000 schoolchildren between 9-13 years, helping them to understand how social media is used within organisations. Their preferences of social media. Unsurprisingly, Snapchat, Instagram and YouTube are the apps of choice for most for finding out information, with blogs being very unpopular, or not even heard of by some! What did surprise us was that 40% of the children surveyed, preferred to use social media for messaging (text), above video and pictures. The South East edition of the Big Bang Fair was a great event to participate in and conduct research on the social media usage of students attending. Our aim was to engage with students by identifying ways in which they used social media to source information and for general interaction. To execute this, we created two polls which would allow us to understand the popularity of various social media networks, the purpose for using these social media, and the main platforms used to acquire information. This exercise was useful, as it allowed us to identify social media platforms that may be less or more impactful in providing engaging learning environments for students inside and outside of the classroom. 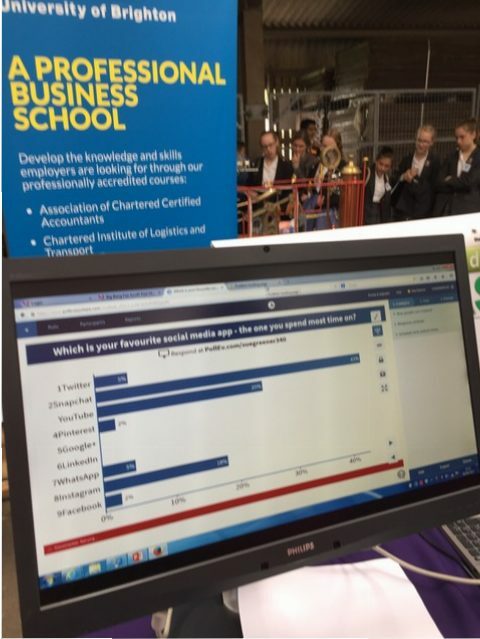 The polling exercise was also useful in validating as well as identifying social media platforms that have been and can be used by students to demonstrate their learning and research interests. This is relevant, as it actively demonstrates the impact that the Student Social Media Showcase has on promoting the work done by students at the University of Brighton, in a way that is identifiable to young people. Each year we reward a prize for the best Digital Marketing coursework – this year’s winner of the BeL Digital Marketing prize is Mohammed Atif Raja, who will be graduating from our nine-month Business Top-Up Bsc(Hons) degree this summer. You can view Mohammed’s presentation and our runners up here. You can see more pictures and hear from our lecturer and a member of the research group, Sue Greener, on her blog post here.